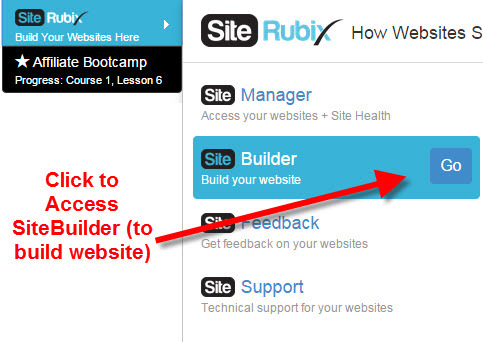 Can you Really Build a Website in 30 seconds? Building a website and to have it up and running will only take but 30 seconds,it`s the content that will take you time. When I first started my online business, my mentor told me I would be finding a niche and building an online business around it. I had no idea what a niche was and had no idea how to pick one. When I learned what a niche was, it was confusing what to choose, would l be able to write enough content about it long term. Many people struggle to find the right niche. Today, I’d like to talk about finding your niche and how you will build your website around that niche. But before we get any further we have to answer a question that confuses a lot of newbies online. A lot of people get confused over the word “niche”. Simply put, a niche is a group of people. These people are all inspired by something and something specific. The main goal when choosing this group is being very specific. If you are too broad with your niche, it makes it difficult to relate to your audience. Think of it as if you walked into a store and needed advice on “how to prevent bad breath”. You probably won’t find that information and aren’t necessarily going to trust the source of that information. You would definitely not get the information you would obtain if you had gone into a store specializing in cosmetics. There are two billion people online today. The online world is the largest marketplace anywhere and you really want to be an expert within that very targeted category that you choose. When you are starting to think about what your chosen niche will be, don’t think of this confusing and strange word “niche”, instead, focus on a group of people. Be cautious, and don’t make the group be too broad and don’t worry of being too narrow. This is one of the most common and costly mistakes people make when first starting out. The narrower your niche is, the more specific you can be. Let’s look at some examples of a niche that may be too broad and a group of people that are more specific. Health is a broad niche and you need to narrow it down, health alone could be anything from exercise to profession.only health has 100s of sub-niches. So as you can see, you will not be able to have health as a niche and be successful with it. You can’t target a broad audience effectively, the narrower you go the better.l will give you a few examples below. A group of people wanting to relieve their back pain. This niche is targeted. MILLIONS of people need help with this. Overweight people wanting to lose weight. This is a targeted niche with millions of people looking for ways to lose weight. A group of people wanting to stop snoring again this is targeted as they will be looking for information to help them. Most people look for specific topics and not a general one like health. There are over 10,000 niches inside the health industry. There are massive groups of people searching to achieve something, searching for something to buy, and looking to solve a problem. There are people who want to make money from home selling content another targeted niche. Simply said, someone looking into how to make money with affiliate marketing will not type selling websites in the search engine. Can you see how narrowing these down to a more targeted group of people would be necessary? They may be targeted, but there is still a massive audience. There are literally millions of individuals searching for information, help, and in the end are spending a ton of money online, purchasing things throughout the year and you are able to take advantage of this with your own website. Most newbies worry of a niche being too competitive or too crowded, Competition is good and unless you are in a niche selling under the ocean stones, you will find that all niches are already out there. And in my opinion, if you type a niche and did not find it, it may mean it`s no good, a niche with competition means many people are looking for help/answers in that niche, so the potential to make money is there. Just like there are many stores offline so are there many stores online. There are people buying things in any online category you might think of. When choosing a niche, dig deeper into your chosen niche to find a specific group of people. Hope this post has helped you better understand what a niche is and how to go about finding the right niche for your website.